Michael Craig from Belfast was the surprise winner of the M19 title at the Irish Junior Squash Open at Sutton LTC, Dublin today. In the final, Craig beat Sutton’s David Ryan, who is in his first year at under-19 level and is ranked No 2 in Europe after winning Nordic Junior Open last month. He did it in three sets with the final scoreline 11-7,12-10,11-9. In the W19 decider, Czech player Karolina Holinkova beat Claire Gadsby from Scotland 3-1. Boys – U13: C Moran (Ire) bt S Buckley (Ire) 3-0. U15: B Hemmerling (Pol) bt S Gillanders (Ire) 3-2. U17: R Hollins (Sco) bt O Dunne (Ire) 3-1. U19: M Craig (Ire) bt D Ryan (Ire) 3-0. BADMINTON: Mixed fortunes for the Irish at badminton’s Scottish Open with many of the players in action coming to Dublin next week for the Carlton Irish Open in Baldoyle, starting on December 4. In the second round of the women’s singles, Irish No 1 Chloe Magee faced Spain’s Carolina Marin, who is top seed for the Irish Open and currently world No 18. After Marin took the opener 21-15, the second set was more even, but the Spaniard edged it at 22-20. Earlier Magee had beaten Tara Pilven of Australia in straight sets. Magee, paired with brother Sam made it to the quarter finals of the mixed doubles, when they beat English pair Gareth Fox and Sophie Brown in the opening round and then got a walkover into the last eight. They started strongly against French pair Ronan Labar and Emilie Lefel, winning the opening set 21-13, and well on their way to victory in the second when the French won a seven consecutive points to take the set and force a nail-biting tie-breaker. In this, the French came out on top winning 21-18. In the men’s singles, Scott Evans beat Mathias Borg ofSweden in the first round and then lost a marathon to Kwong Beng Chan in the second round with the score going to 28-26, 21-19. Jonathan Dolan, who made it through qualifying, had a good straight sets win over No 7 seed Peter Koukal of the Czech Republic in his opening round match of the main draw. He then went out to Vincent De Vries of Belgium 21-14, 21-17. Top seed Ville Lang of Finland, who is also No 1 for the Irish Open, lost in the semi-finals to eventual winner Brice Leverdez of France. 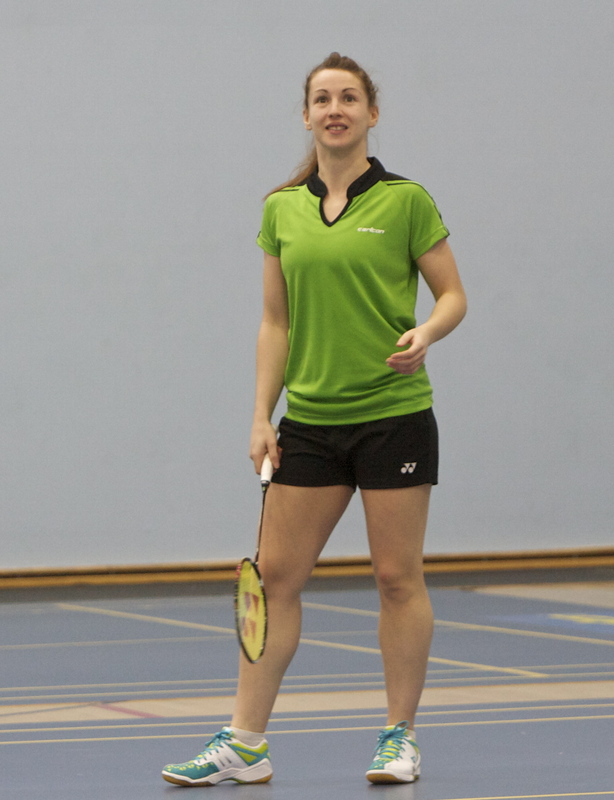 Women’s singles Rd 32:Chloe Magee (IRE) bt Tara Pilven (AUS) 21-6 21-8. Rd 16:Magee lost to Carolina Marin (ESP) (1) 21-15 22-20. Men’s Singles Rd 64: (7) Scott Evans (IRL) bt Mathias Borg (Swe) 21-13, 21-91. Jonathan Dolan (Irl) bt (12) Petr Koukal (CZE) 21-17, 22-20. Rd 32: Evans lost to Kwang Beng Cgan (MAS) 26-28, 19-21; Dolan lost to Vincent de Vries (BEL) 14-21, 17-21. Men’s Doubles Rd 32: Jonathan Dolan/Sam Magee (IRL) lost to Robert Blair (SCO)/Bin Shen Tan (MAS) 14-21, 18-21. HOCKEY: Leinster won the U18 title at hcokey’s boys’ Interprovincials at Mossley Hockey Club, despite losing to Ulster in their final match. Two wins and a draw earleir in the competition were enough for overall victory. Ulster sealed U16 victory with a 6-1 win over Leinster in their final match. Earlier, Leinster had also lost to Munster. CANOEING: Garda Peter Egan, a native of Lucan and member of the Salmon Leap Canoe Club iin Leixlip won his fifth Garda Sportstar Award sponsored by Coiste Siamsa/St Raphael’s Garda Credit Union. The awards ceremony was held at the annual Sportstar Awards reception held in Knockranny House Hotel Westport earlier this month. The selection panel was chaired by Eamonn Coughlan former World 5000m World Champion and 3 times Olympian. Egan had a very successful year on the water, both in marathon and sprint racing. He won the K2 category at the Liffey Descent, took both K1 and K2 titles at the National Marathon Championships and finished 19th at the World Canoe Marathon Championships in Copenhagen. In sprint racing, he won national 200m K2 and 5,000m K1 titles. Wrapping it all up nicely were five gold medals at the World Police and Fire Men’s World Championships held in Northern Ireland.